Financial District's 50 Post Office Square getting a glassy new lobby. 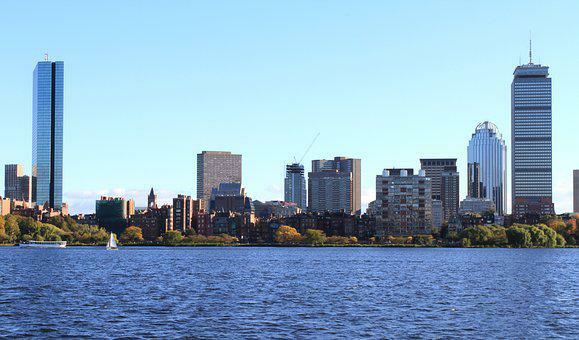 By Tom Acitelli of Curbed Boston. 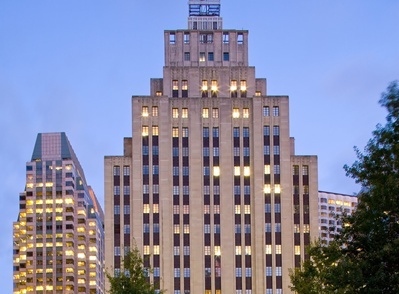 The owner of the Art Deco office building at 50 Post Office Square in Boston’s Financial District is planning to erect a new lobby on High Street with a 35-foot glass curtain and an indoor-outdoor LED board. Think the Apple Store outside of Manhattan’s General Motors Building, though not as detached. 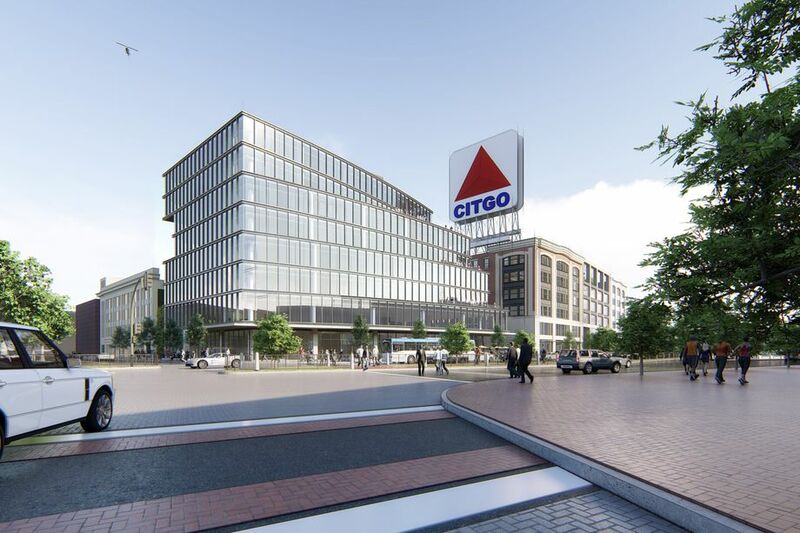 The board at 50 Post Office is supposed to highlight the way people move through the lobby and the street along it, per the Globe’s Tim Logan. The lobby is the latest addition to a changing Financial District. The office tower at 100 Federal Street is getting a glass atrium on the sidewalk, and the owners of One Post Office Square are sheathing that 41-story commercial building in glass, with a three-story glass pavilion at the tower’s base. 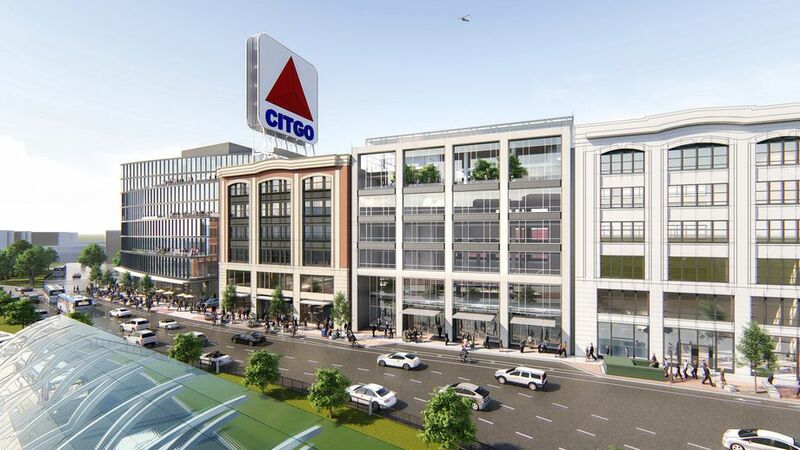 That pavilion will include nearly 8,000 square feet of retail and restaurant space as well as a public passageway between One Post Office and the adjacent Langham Hotel. It’s all toward making the Financial District more competitive in an office market with more options than a few years back.